Hoop season means armchair sports analysis plus rich game-day foods—add cannabis to center your game-day focus and make the flavors really pop. We’ve all seen—or, let’s face it, been—the sloppy drunk who may have had one too many drinks by the time the game was over, rendering us unable to appreciate that unbelievable buzzer beater or the thrill of a major upset. 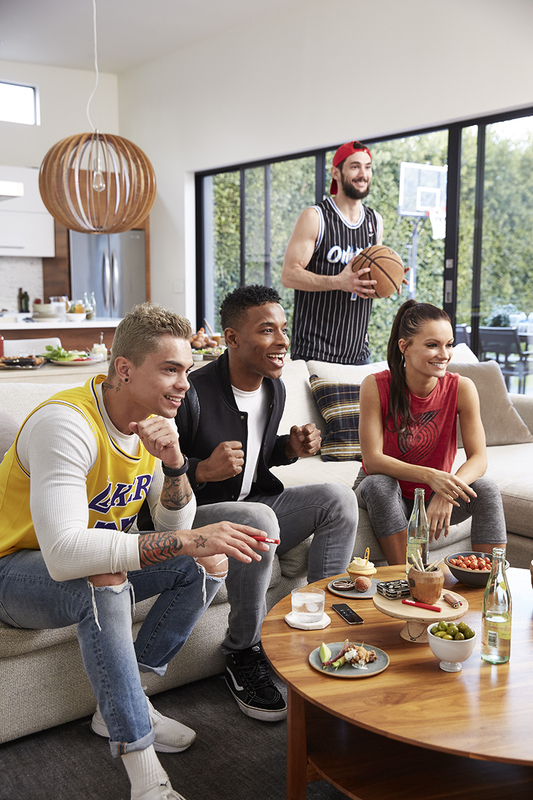 This year, why not consider heightening your March Madness-viewing pleasure with cannabis: the right strain can actually heighten the nuances of a complex gameplan you might’ve otherwise missed. And yes, meaty chili will be that much more delicious. 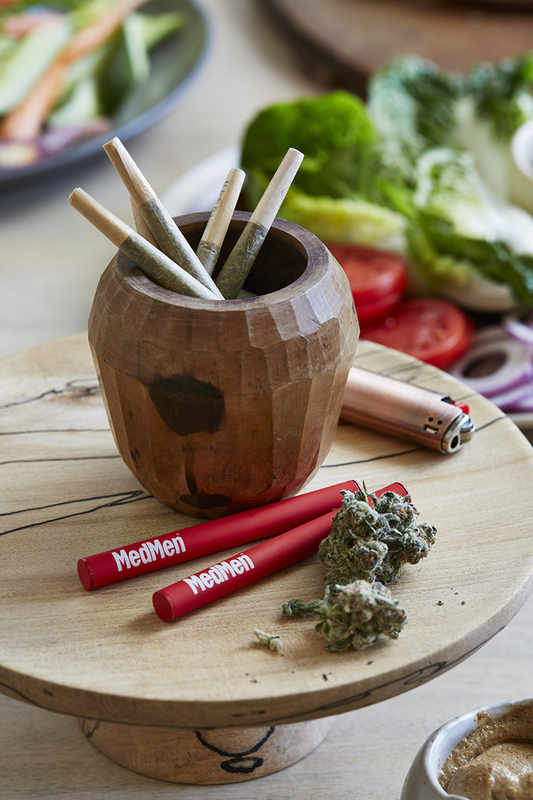 “Pairing food with cannabis is a tricky and subjective experience,” MedMen’s Ben Schultz says. Ultimately, it’s about how marijuana works with your body, but there are some helpful March Madness–approved guidelines. “Watching sports is an active experience. You’re not just sitting back and watching a movie, where you can be passive. In sports, you’re paying close attention, you’re cheering, you’re clapping and jumping up and down, and you’re talking to your friends,” he says. Opt for a sativa strain, known for its psychologically uplifting properties, over a more full-body indica variety that’s bound to induce couch-lock. “Sativa is generally considered more of an active and cerebral high, so it’s ideal for holding conversations, or watching and chatting about sports,” Schultz adds. But not just any old sativa strain will do, nor will your vessel of choice or your menu for the day. Things can get antsy before basketball tipoff, even without mind-altering substances. 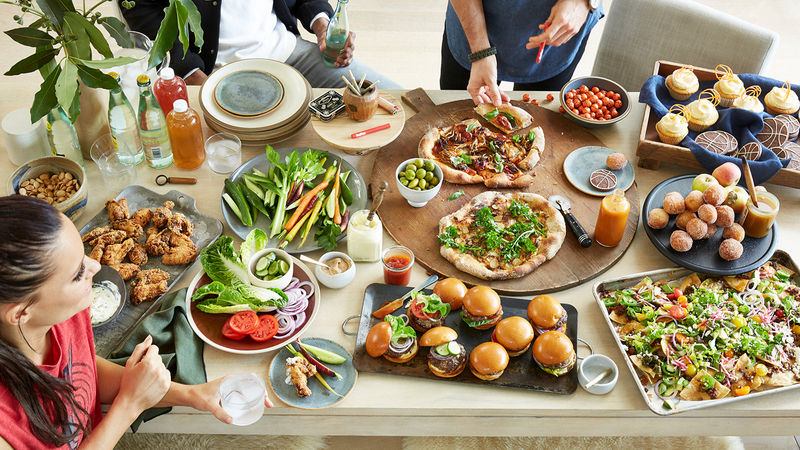 Ahead are some game-day rules for enjoying cannabis while rooting for your favorite team—or, if they didn’t make it, just the one you picked in your bracket—while digging into tasty eats. Never overthink game-day food. Dips, nachos, and wings are endlessly customizable, and most prep work can be done ahead. 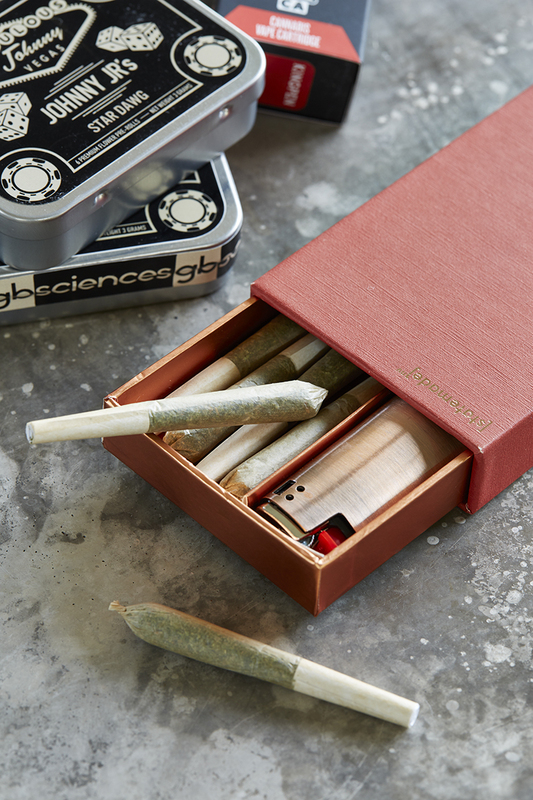 Pop nachos in the oven (minus fresh garnishes, to add post- baking) before greeting—and sharing a joint with—your guests. Decadent fare often means serious bloating. 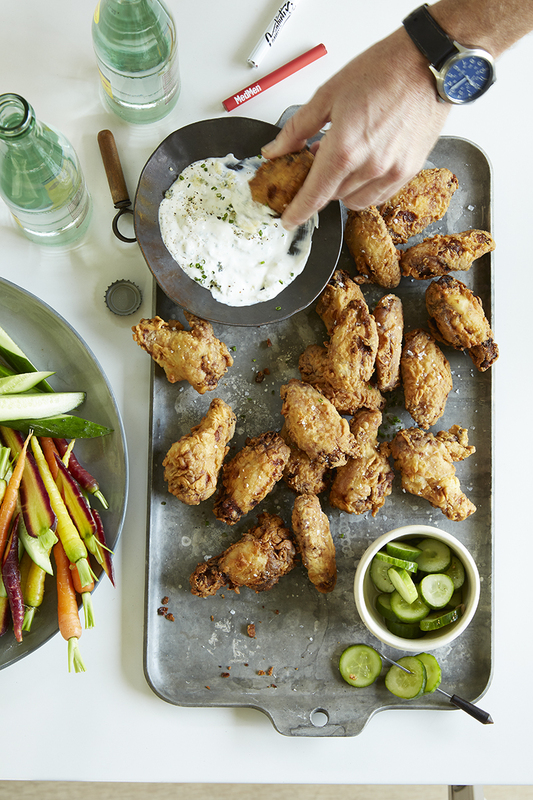 Top nachos with zippy salsa, while blue-cheese dip reserved for wings can be repurposed as light crudité, for regret-free snacks once the high hits. “Smoking is inherently a more social experience. Everyone eating their own individual edible, or splitting a bar, isn’t really a social moment,” Schultz notes. So pass around that joint or vaporizer—like on a sports team, building camaraderie is key. Read more in our newest issue of EMBER magazine. Available at MedMen locations and Barnes and Noble.